Serab, or Sarab, has lent its name to a group of camel ground runners generally attributed to the town of Serab itself up into the beginning of the 20th century. 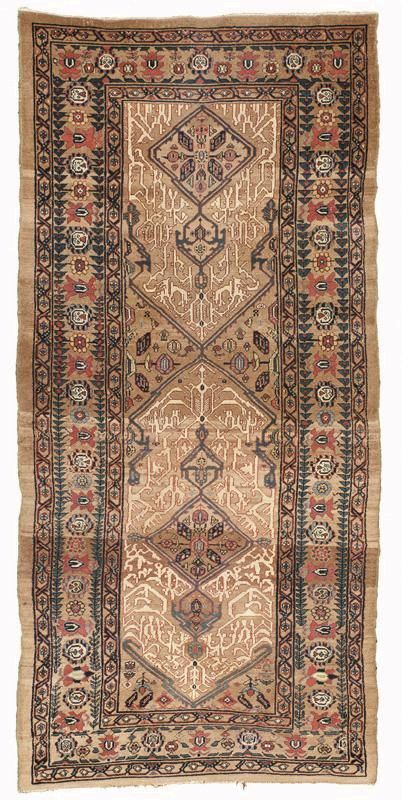 Serab Runner, 2nd Half 19th C.
Size: ca. 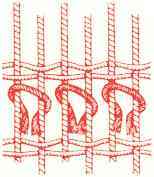 416 x 104 cm. 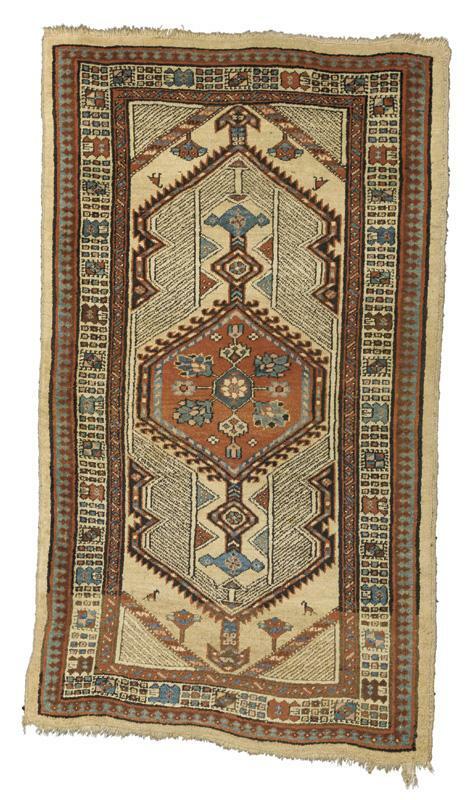 Sarab Carpet, Last Quarter 19th C.
Condition: Oxidized charcoals, partial end guard stripes, overcast sides.